You’re short of time in the morning. You need to get up, take your shower, put your work clothes on. Hey wait, what about the breakfast for the kids? And their lunch box? Where are those damn car keys, which you seem to lose every time? And then, you realize… what about my breakfast? Let me recommend you a quick breakfast that can fill you up in the morning. Try our pick for best protein smoothies to give you a great boost in the morning and can even help you lose weight. These high-protein smoothies can help you to start your day productively, especially during those busy days. They are also perfect to incorporate to any diet as a pre or post workout drink. One more step to a healthier lifestyle! 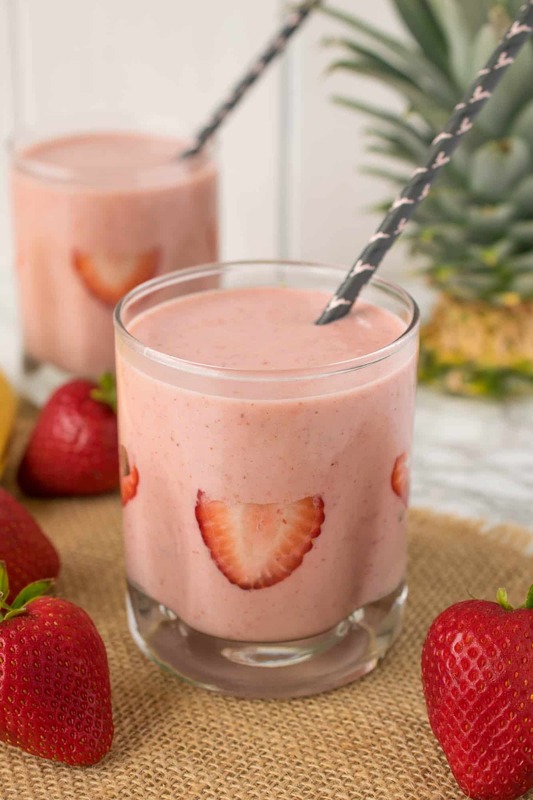 Note: Keep in mind that some of these smoothies might have high calories which means they can keep you full longer in the morning until you are ready to eat lunch. 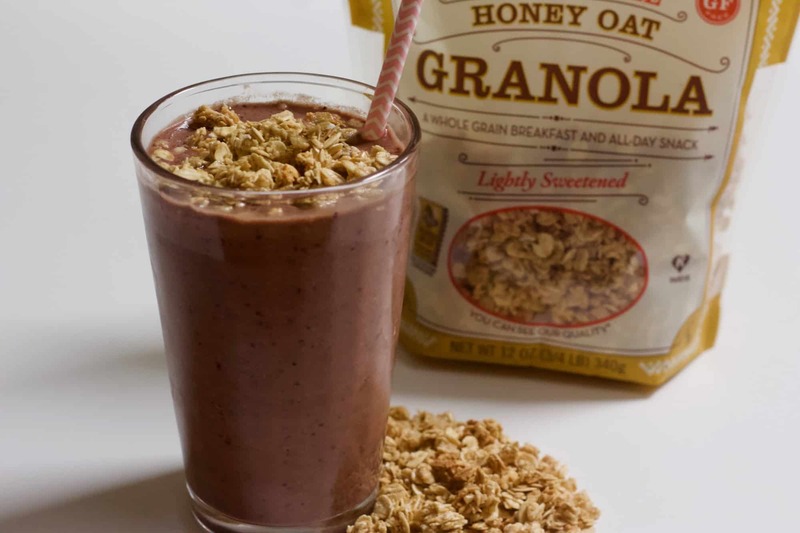 Let’s check out these smoothie recipes perfect for your busy mornings! 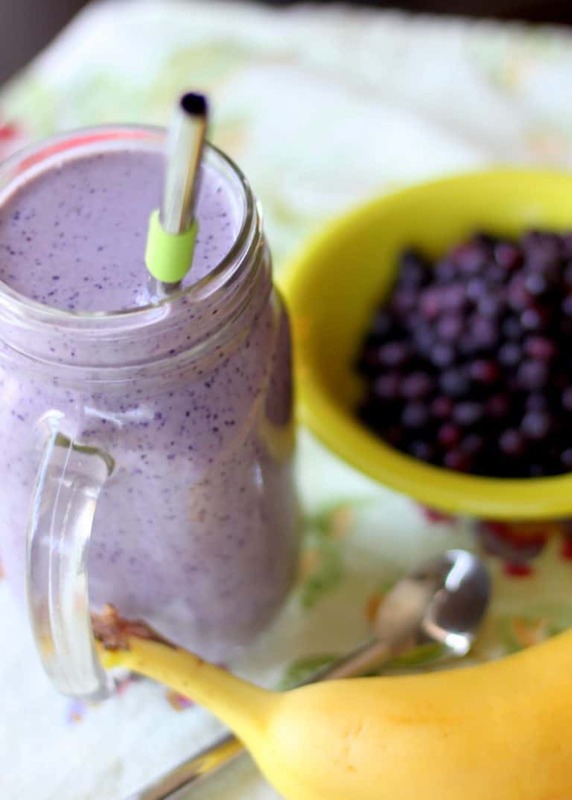 This blueberry protein smoothie from Jen and Maddie is my absolute favorite breakfast smoothie and I make it multiple times per week. I love that it gives you a big double whammy of protein from both the Greek yogurt and the protein powder. Rich, creamy, chocolatey, and fruity….this Dark Chocolate Cranberry Almond Smoothie Bowl from Kaila has everything you could want in a sweet breakfast! Topped with granola, cereal, nuts, seeds, coconut, and other superfoods… It’s like having dessert for breakfast but much healthier. Did I forget to say it’s gluten free and great for vegans? Awesome stuff! Andrew is like many of us. Busy with handling his family and his work. 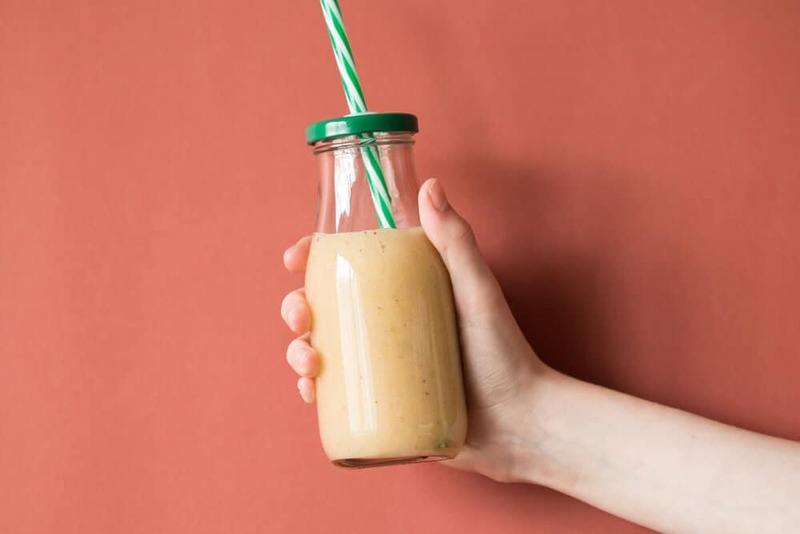 Short of time in the morning, instead of eating leftover pizzas, he prepares this tasty banana bread smoothie with a whopping 34 grams of protein. If you are a fan of banana and need something healthier in the morning, then what are you waiting for? Angela shares with us her power-packed protein smoothie with peanut butter, banana and strawberries. She introduces us to a new collagen protein but if you can’t find it around, you can still use your favorite protein powder in the mix. This healthy smoothie recipe from Deanna is perfect for the fall season, plus it packs a punch of protein that we need to build muscle each day. 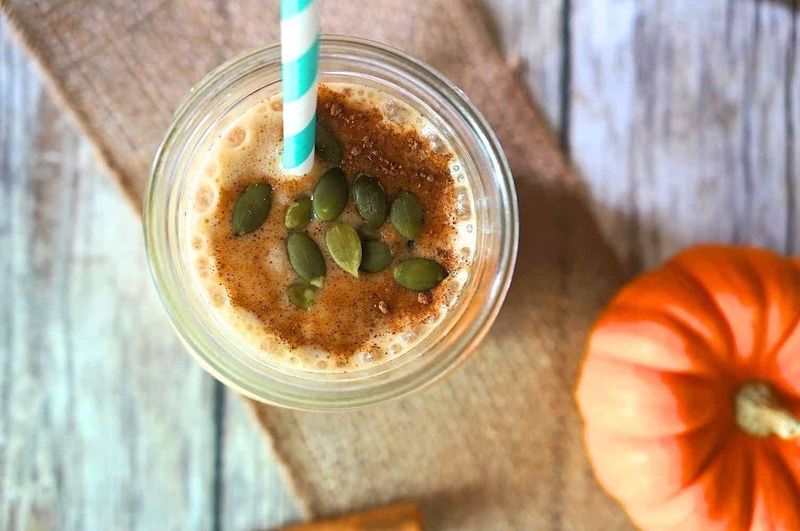 If you love pumpkin flavored everything, try this easy pumpkin smoothie recipe! Another healthy protein smoothie which can be made crazy easy, vegan, and gluten-free. It’s quick, easy, and nutritious. I love strawberries. 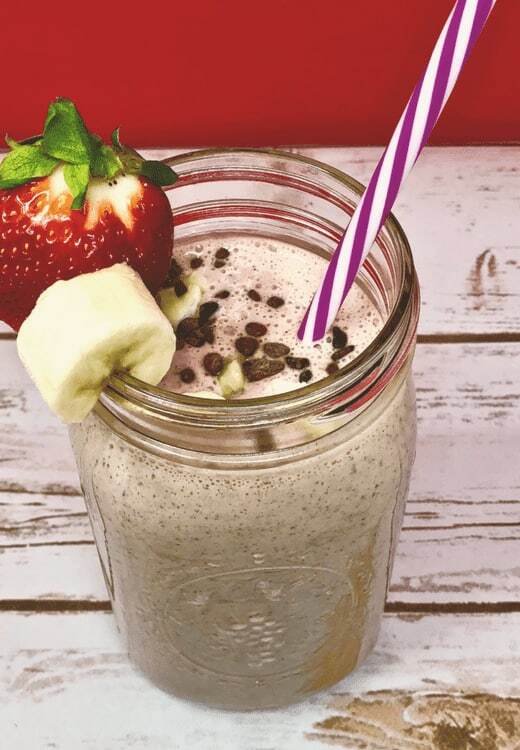 So does Janette who shares with us her recipe for a strawberry almond protein power smoothie. This is my new go-to post-workout snack. Made from fresh strawberries (or frozen ones if not the season), homemade almond butter, fresh pineapple, and yogurt. A healthy, good food that you can take on-the-go. 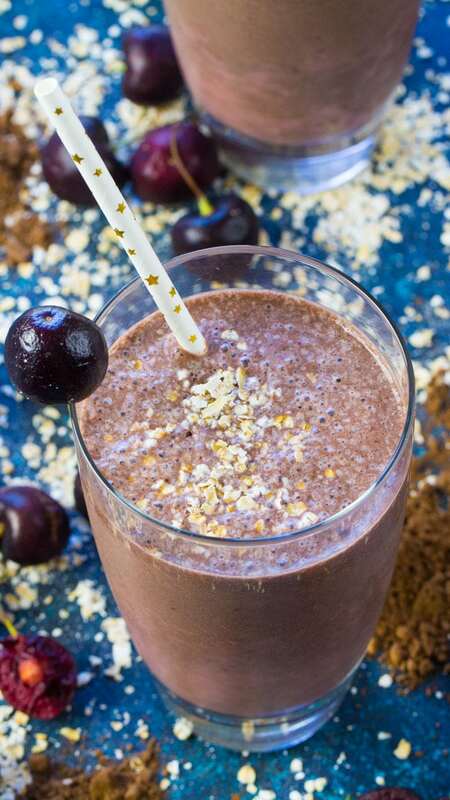 This Chocolate Cherry Smoothie is a delicious combo of sweet, tart, creamy and chocolaty in a healthy drink that tastes like an indulgent dessert. Courtesy of Catalina, who created this tasty recipe. 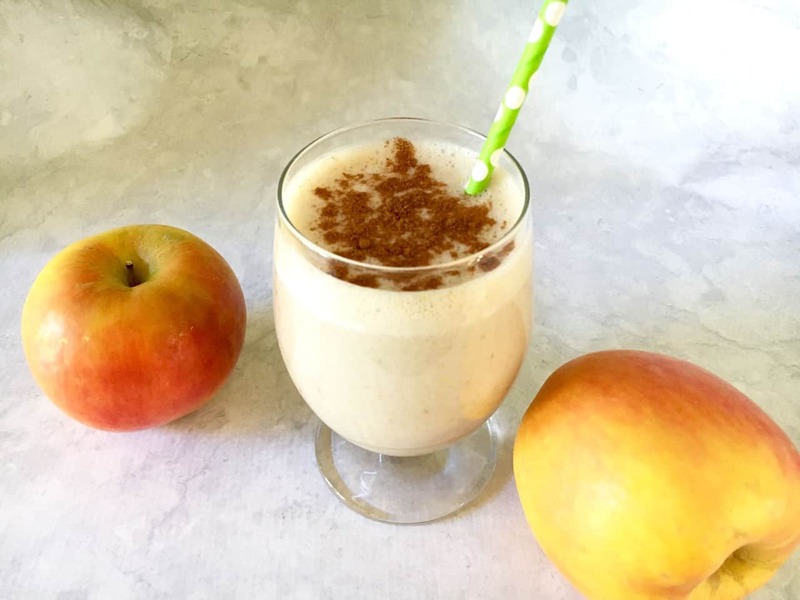 Usher in fall with this healthy Apple Cinnamon Protein Smoothie. 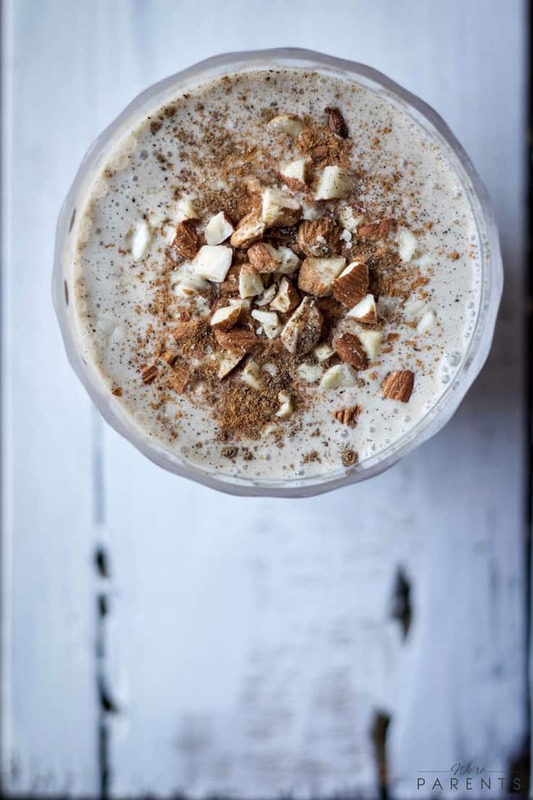 Give this apple and cinnamon protein smoothie a try! Coffee in the morning, anyone? 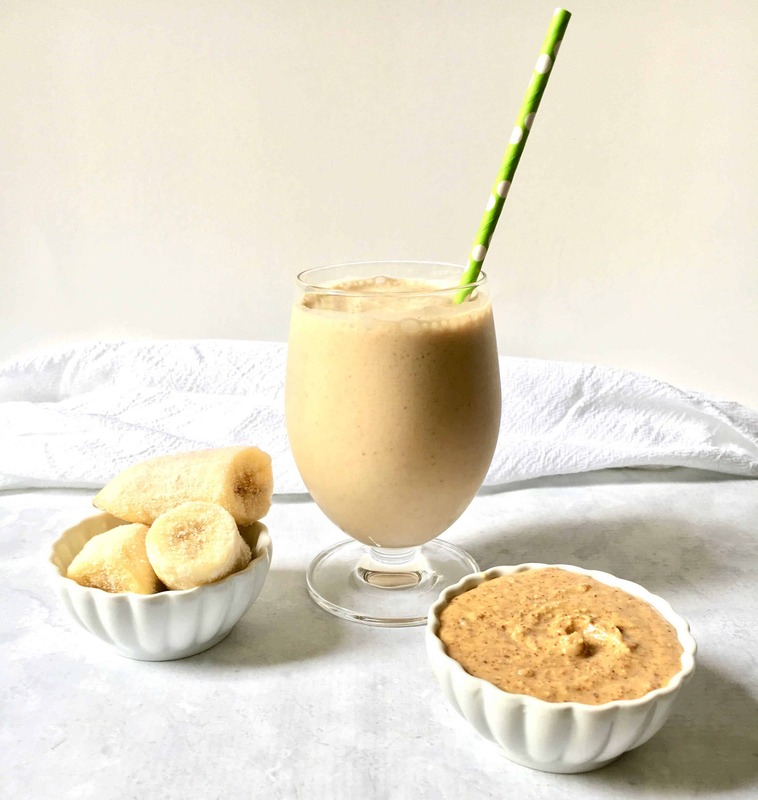 If you’re like me who needs a cup of coffee in the morning, this is a perfect coffee-lover smoothie that you can enjoy in the morning without feeling guilty of the added sugar in your regular coffee. You can drink this even before a workout or as a meal replacement. What’s good with a smoothie that you make at home is that you can adjust every ingredient based on what you like. Experiment with different types of milk to get the best taste! 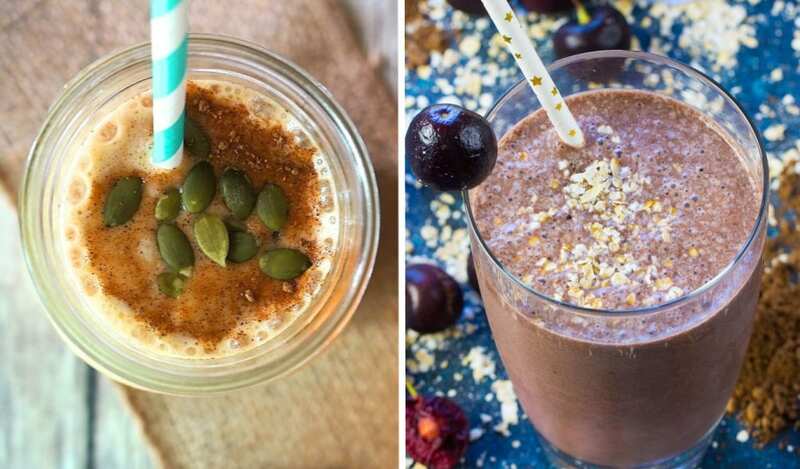 Let me know what you think of these protein-packed smoothies? If you have tried one of them, feel free leave the comment below! Give some love to this post by pinning it and follow me on Pinterest for more ideas and inspirations.